EATING behind the wheel is something every driver has probably done at least once, with many likely even doing it multiple times a week, but what may seem like a harmless snack can land you in big trouble. There is a bit of confusion when it comes to whether eating and driving is allowed in Australia as it is kind of a legal grey area in most states. 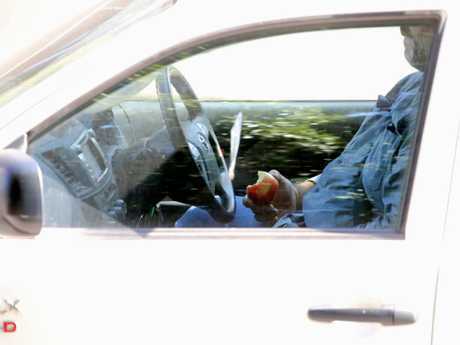 While there are no specific road rules that prohibit eating behind the wheel, drivers can still be slapped with hefty fines if doing so affects their concentration or control. For example, munching on a packet of chips might be pretty easy to do without losing concentration but eating a bowl of cereal during your morning commute might be a bit ambitious. Earlier this year a P-plater was snapped digging into a bowl of cereal on a busy Perth road. 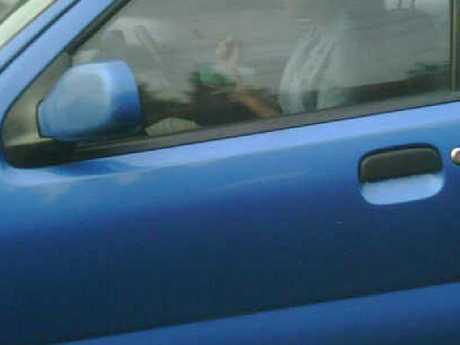 The photo showed the teen holding the bowl in one hand and a spoon in the other while appearing to be steering with her knees. 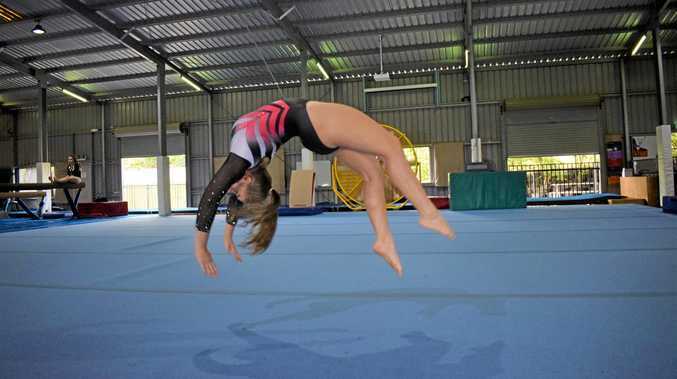 Police said the woman was fined $300 and accrued three demerit points for driving "without due care and attention". If police catch you eating and driving in New South Wales and believe that it is having a negative impact on your driving they can book you for driving without proper control of the vehicle. This comes with a $448 fine and three demerit points and that skyrockets to a $561 fine and four demerit points if the offence is committed in a school zone. In extreme cases, drivers can also be charged with negligent driving if snacking distracts them and results in a crash. Negligent, furious or reckless driving comes with a $448 fine and three demerit points but penalties can also include higher fines, licence disqualification and imprisonment for offences occasioning death or grievous bodily harm. Centre for Road Safety executive director Bernard Carlon told news.com.au any task that required you to take your eyes off the road can be considered dangerous. "Driving is a complex activity; anything that takes your hands off the wheel, eyes off the road, or mind off the driving task is dangerous, not just for you, but everyone else on the road," he said. "Simply taking your eyes off the road for longer than two seconds, doubles the risk of a crash." Not pulling over to eat can also land you in hot water in the ACT. 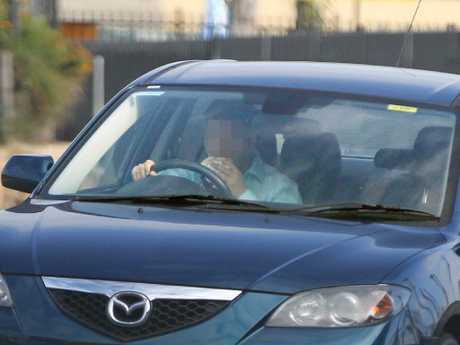 Much like NSW, drivers can be charged with driving "without proper control" of their car if police deem their eating habits to be a distraction, which comes with a $292 fine. Motorists can also be given a $385 fine and three demerit points if their distraction results in a crash and warrants a negligent driving charge. If you are caught taking your eyes off the road to focus on your food while in Queensland, you could be hit with three demerit points and a court imposed fine for "driving without due care and attention". In Queensland, the maximum penalty courts usually issue for negligent driving is $4000. They can also impose a disqualification period depending on the severity of the case. In Victoria, you could be forced to pay a $387 fine along with racking up three demerit points if police catch you having a meal on the road. Most of us probably like to think we can easily navigate our way around a McDonald's order while keeping our eyes on the road, but in reality those few seconds it takes to figure out the best way to hold your Big Mac in one hand can put you and others in danger. The Tasmanian Novice Driver Guidelines encourage drivers to avoid eating behind the wheel as it can lead to dangerous situations, even though it isn't technically illegal in itself. "Driving requires your full attention. Avoid distractions, such as eating or drinking or adjusting the radio," the guidelines state. Motorists can be handed a $163 fine for driving without proper control of the car. Similarly, driving without due care and attention will also land you with a $163 fine, as well as three demerit points. 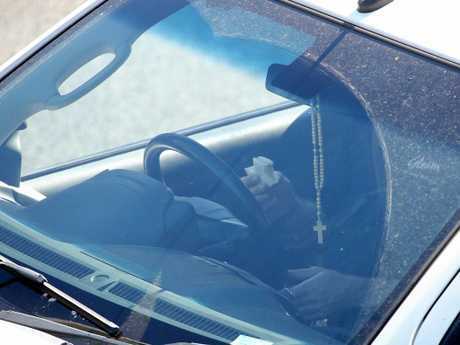 This driver wasn’t going to let traffic stop him from eating his burger. 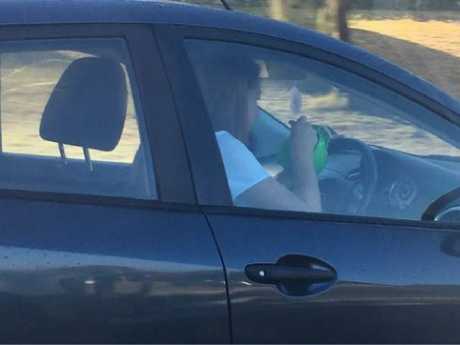 While the law in South Australia doesn't specifically state that eating while driving is illegal, the SA Drivers Handbook does name eating as a common distraction. "Too often, drivers engage in activities that distract them from the driving task," it reads. "These include using mobile phones, eating, drinking, smoking, conversing with passengers, using audio equipment and responding to distractions caused by children or other passengers." Driving without having proper control of the vehicle could cost you $184 in South Australia, while a more serious offence of reckless driving could see you get a court imposed fine and six demerit points. Seriously, just eat your cereal at home. In Western Australia, careless driving - which could include being distracted by your lunch - carries three demerit points and a maximum of fine of $600 or 12 penalty units. The more serious charge of dangerous driving can carry a maximum penalty of $3000 and six demerit points. 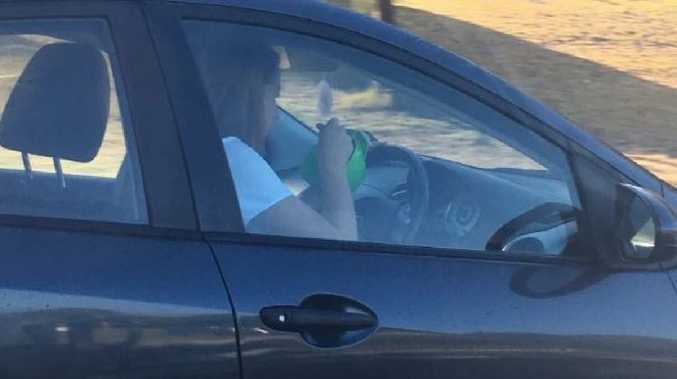 If police catch a motorist eating on the road in the Northern Territory and believe it is having a negative or dangerous impact on their driving, they may charge them with "driving in a dangerous manner". This means the driver could get a $500 fine and three demerit points. If the motorist crashes as a result of being distracted by their food, they could face an even higher fine and disqualification.